I love a good lash, and some of the best mascaras out there come from the beauty think tank that is San Francisco-based Benefit Cosmetics. 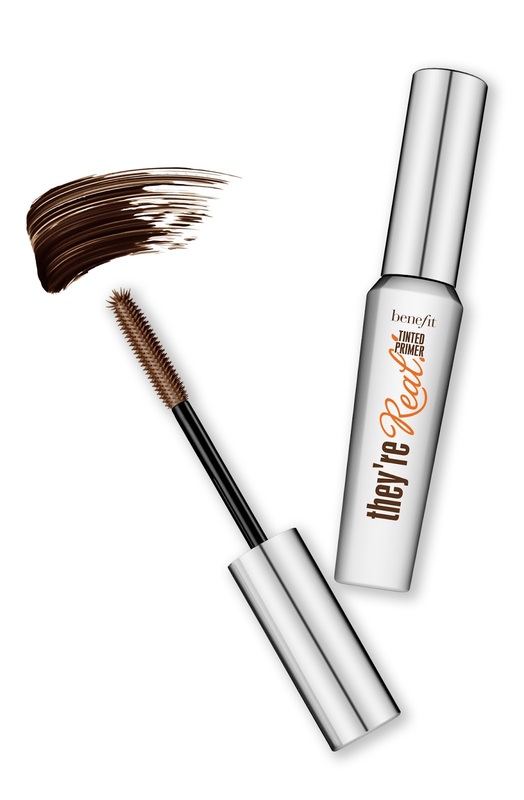 Their newest release aims to take their lash offering to a whole new level, and when a tube of They’re Real! Tinted Primer came across my desk I couldn’t wait to give it a whirl. They are calling it their best selling They’re Real! Mascara’s perfect “partner in crime” and if you ask me, the almighty Benefit Cosmetics aren’t wrong when it comes to this one! They’re Real! Tinted Primer is a new permanent mascara primer that does what it says and more – making it a beauty tool as well as a great multitasker. The little tube of goodness works in one of two ways. You can either use it alone for fuller but natural lashes, or you can use it as a primer to add depth, definition, and fullness to lashes prior to mascara application. While most mascara primers are white, Benefit’s They’re Real! Tinted Primer delivers seriously eye-opening results with a high-performing mink-brown gel formula, along with a rather clever custom ExtraFlex brush. This makes it perfect to wear on its own for a natural-but-better look as it separates lashes at first application and adds a flattering tint. The formula is also super lightweight on lashes, so you don’t have to worry about breakage if you like to layer it up for a true faux lash effect. It allows for building and layering very easily with another mascara so there is no chance of clumping or fallout if you are a contact lens wearer like me. I’ve been wearing mine with my favourite Roller Lash by day, and the effect and longevity are pretty damn impressive.